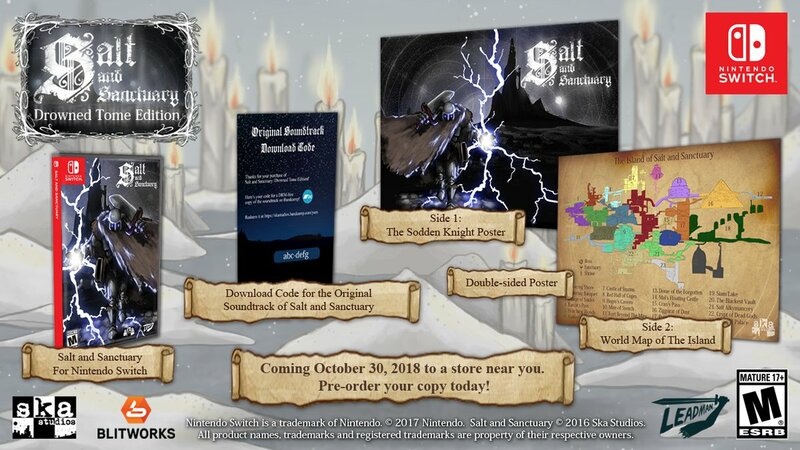 This week, Ska Studios and Leadman Games have officially announced Salt and Sanctuary: Drowned Tome Edition, the physical version of Salt and Sanctuary for Nintendo Switch. The Drowned Tome Edition launches October 30, 2018 for USD29.99 in North America. A European release is on the cards with no release date yet. It’s also worth pointing out this is the first title Leadman Games is publishing at retail. Leadman Games is a new indie publisher founded by Dan Adelman, who previously worked at Nintendo of America to help indie developers.